If you have very high standards and are looking for one of the best wedding bands in Scotland, then Stolen Kiss should be high on your list of options. The two musicians who form the band have gained a huge amount of experience and a superb reputation performing in probably Scotland's premier wedding show-band. Now performing as a self contained duo we think you'll agree the quality of what Stolen Kiss can do is ably demonstrated in the demos on this page. You'll get male and female vocals, live guitar and even the option to include live fiddle. The full band sound that you can hear in the demos is courtesy of specially recorded backing tracks created in the band's own recording studio. John and Marie Claire have performed at hundreds of hugely successful weddings and events across the UK. There is simply no better way to have music of this quality in such a compact and cost effective way. They are lovely to work with, hassle free and ultra reliable. With only two musicians to pay you'll find Stolen Kiss not only easy on your ear, but easy on your pocket. Included in their fee is a brand new state of the art PA system so you'll always hear them at their very best. If you're booking the band for your wedding, your choice of first dance is assured and the band will go on to fill your dance floor between 8pm and midnight with a short break. With all this experience to call on you can rely on Stolen Kiss to be able to read their audience, ensuring that everyone is catered for. From country to ceilidh, rock, pop and soul plus a few wee surprises thrown in, combined with Marie Claire's bubbly personality and John's musical virtuosity, this is one of the best ways to ensure your guests have the time of their lives. The band is based near Glasgow and is available across the central belt and up to Dundee and Perth. Get an instant quote and availability check on your screen right now just by filling in the quick enquiry form. Why not add Stolen Kiss to your shortlist of favourites for multiple quotes from the same single enquiry form? Stolen Kiss, what a fantastic wedding band. Professional and sounded excellent from first dance to last. Accommodated Bride and Grooms song requests and the dance floor was full from start to finish. The quality of performance from Claire and John was exceptional, a pleasure to listen to and dance to. We hired Stolen Kiss through Hireaband Scotland for our intimate wedding. The Service from Hireaband was fantastic, the whole team were so helpful and with great communication. Stolen Kiss were absolutely incredible performing at our wedding. We had less than 30 guests and we wanted to make sure they were all up on the dance floor and that the band setup was the right size for our venue. We were over the moon with John and Clare, they're both so talented with amazing voices and guitar solos! They pre-empted the requests from the Bridesmaids before the songs were even asked for, they rapped and they even started an impromptu Ceilidh dancing session! If you're considering hiring Stolen Kiss then don't hesitate to book them! They're so friendly, professional and react to your guests mood perfectly. Just wanted to say a massive thank you for making our night so amazing!! You guys were so good and so willing to make our night special for us and we totally appreciate it so much. Thanks for everything. I want to thank Stolen Kiss for providing us with the most amazing night of music and fun for our wedding. Every song was flawless, they got all guests involved (even taught people how to "burly" during the Gay Gordons) and kept the dance floor full all night. The sound bite on their page does no justice to them...although they sound great, they are AMAZING when you get to hear them live! Can't recommend highly enough! Stolen kiss were absolutely amazing! For a two piece they blew us away and our guests... The dance floor was never empty! They were very flexible in terms songs we wanted played and Marie and John were an absolute pleasure to be around! Couldn't have picked a better band to play at our wedding! We wish we could redo the whole day again! Wow... Thank you! What a night! You made our wedding one to remember! You are fantastic... Amazing voices, exceptional guitarist... Just a great duo and loved by all! Highlight being our first dance and the last! Can't thank you enough! Thank you, thank you, thank you! Well- that was amazing last night!!! loved every minute of the reception and everyone has been saying that the band made it!! You were fantastic!! We can't thank you enough for making the reception so great!!! Thank you so much for playing at our wedding. You were both fab and we would highly recommend you! Claire and John who were the band are amazing and I would highly recommend them. We had a fantastic evening with Stolen Kiss at our wedding. Before the wedding John and Clare checked in to see if there was anything we wanted. They played a great set, everyone enjoyed the songs and they got people up dancing. I would highly recommend them. Thanks for a great night! What a great night! Tunes were fab. What a fantastic night last night. Thanks Stolen Kiss for coming along to our wee charity night for Ayrshire Cancer Support, you were fab as usual. What a fantastic atmosphere, the place was rockin'. Thanks Clare as well for helping with our auction...that could be another sideline there for you. Mr and Mrs Lamont - Cringletie House, Peebles. Second time I've used Hireaband and they were just as helpful and efficient as before! Stolen Kiss were tremendous! They created a great atmosphere at a small event and had everyone on the dance floor. Everyone commented on how good they were. Had an amazing night at one of my closest friends wedding thanks to Stolen Kiss! The dance floor was never empty, with very current and some older tunes they accommodated all age groups. I cannot stress how good these guys were and for only 2 members it sounded like there was a 10 piece band!!! Good luck for the future and hope to have a boogie at another function you guys are playing at! Thank you to Stolen Kiss who played at our wedding, you guys were amazing and the dance floor was packed the whole night! 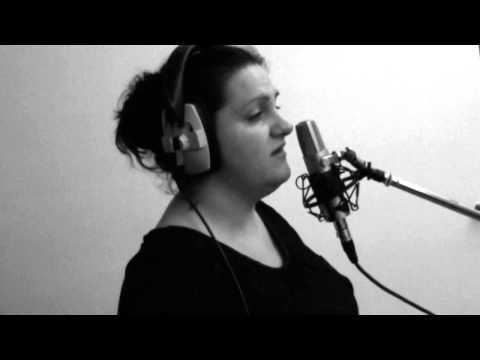 All our guests have been commenting what a terrific voice you have Mairi Clare and we defo agree! Thanks again! I just want to say a massive thank you to you and John for being so friendly and so kind all the way running up to the wedding, it really did make it special knowing we had our friends up there making everyone hit the dance floor and not want to sit down.Every song had someone up dancing and it was such a personal touch when you played a few requested songs.Your voices are absolutely outstanding and hearing Clare sing our first dance song was just heartwarming. I will always recommend you both to anyone that's looking for a wedding band because I couldn't think of anything better. Thank you again so much. Hi Clare, Andy here thanks to you and John for your excellent contribution to our Silver Wedding celebration. Some more very special memories to add to the list I mentioned on the night. We'll need to find an excuse for another night soon!! !